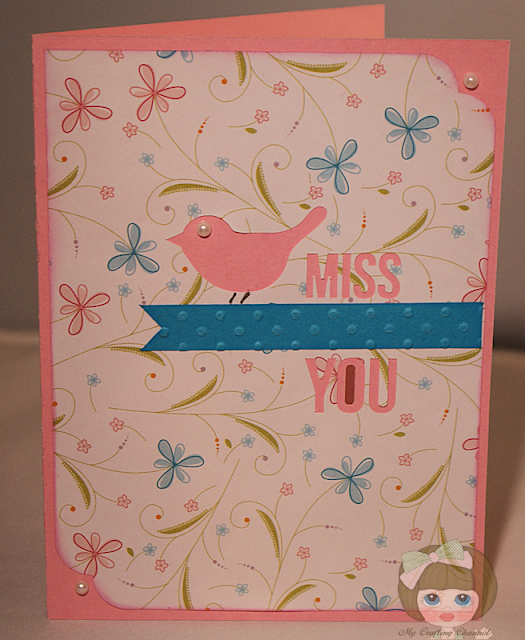 My Crafting Channel: SVG 5 Minute Card "Miss You Card"
SVG 5 Minute Card "Miss You Card"
Good evening everyone. Today has been very productive for me. I managed to organize my craftroom some, make several cards and even d0 some laundry. This is the 3 card posted today. You can scroll down to see the 2 posted earlier for the Create a Critter Series. Now on to this card..... SVGCut.com released this really nice kit this past Friday. I really like it. I plan to make one of each of the nine cards to have on hand. When they say 5 minutes they are not kidding. It takes longer to pick out the paper than it does to make the cuts and assemble the card. They are all very simple but really pretty cards. 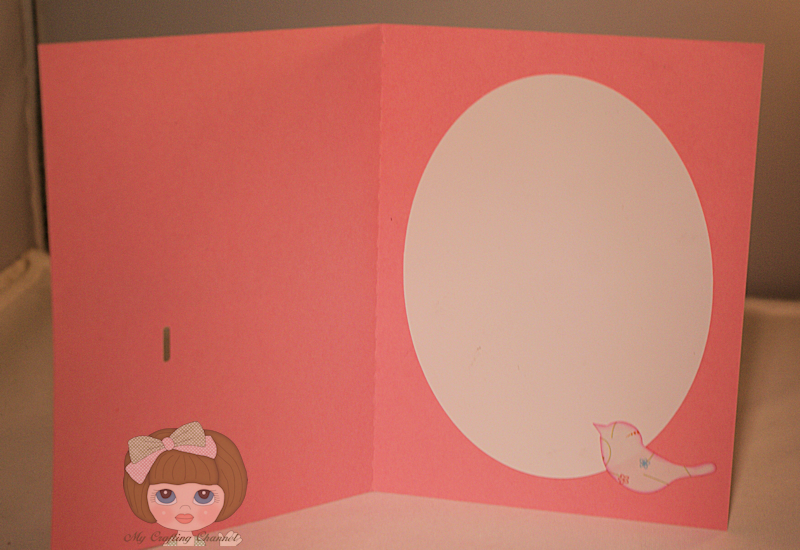 love the pink/blue's...Tweet card... love it! What a beautiful card!! I love the paper and the colors!! Beautiful card Nana, I like the paper and the bird. Your card is sooo sweet! I love the paper and the pearls in the corners! You have had a busy day my friend! This little card is really sweet - love the soft, pretty colors! This is so very pretty, I certainly have missed you & your blog.